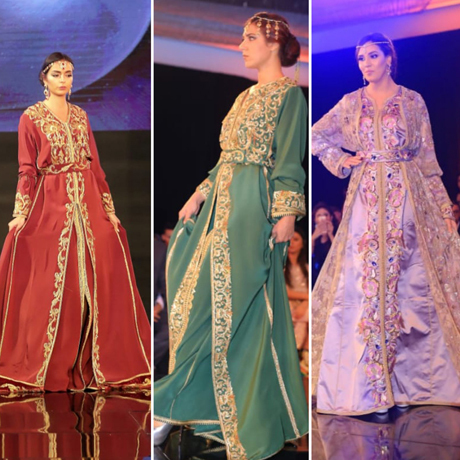 Held on 23 November at Royal Maxim Palace Kempinski in Cairo, the 2nd edition of Middle East Fashion Festival gathered prominent fashion designers from five countries: Egypt, Lebanon, Jordan, Armenia and Morocco. President of the Middle East Fashion Festival Walid Khalil spoke to Ahram Online about the one-day-event. The seven designers were presenting their latest designs for their fall/winter collections, 2018/2019. Designs included haute couture, elegant soiree gowns and wedding dresses. Make up-artists from Egypt Heba Magdi, Hend Helmy and Libya’s Souad El-Bakush and Bay Tree beauty salon participated in the show. The festival entertained more than 1,000 attendees, including VIP American visitors, media figures, artists, ambassadors and communities from the US, Belgium, Tunisia and Lebanon. The guests of honour were Egyptian singer Anouska, and actress Rojina, and Tunisian actress Aisha Ben-Ahmed. Attendees enjoyed the musical performances of Egyptian singers Zizi Adel and Ahmed Zaeem, pianist Dalal El-Khamisy and violinist Ahmed Mokhtar. “The festival aimed at integrating and incorporating different cultures and bringing people closer together,” Khalil explained. 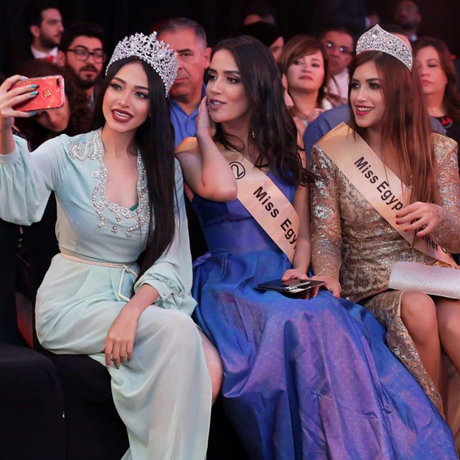 The first edition of Middle East Fashion Festival was held in March 2018. It is intended to be held twice a year (summer and winter). Prominent Armenian designer Nuria has been in Egypt for 10 years. In her new collection she presented 20 different examples of soiree and wedding gowns. Nuria used blue, green, yellow, purple, creamy and off-white colours. “My designs were inspired by Armenia’s nature. Also, some designs reflected Middle East cultures,” Nuria added. Benmlih's collection presented 10 different pieces of kaftans using dark blue, red, olive, green and off-white colours. She used old Moroccan embroidery techniques, using payette, precious stones and Swarovski gems. Lebanon was present through Anass Kadamani’s brand, "Anskada." Egyptian designer Omneya Hussein has been in field of fashion for 10 years. This is her first time to participate in the fashion festival. “My bridal dress was beautifully set with pearls and embodied florals,” Hussein added. “Eyeliner and lip-liner are out of fashion. Contouring and sculpting the face are trending. A natural medium set of eyebrows is fashionable,” El-Bakush added.